Scone Grammar School encourages the opportunity for all students to experience as much cultural diversity as possible. In addition to the School conducting a bi-annual History and Visual Arts trip to Europe, we also encourage School exchanges. 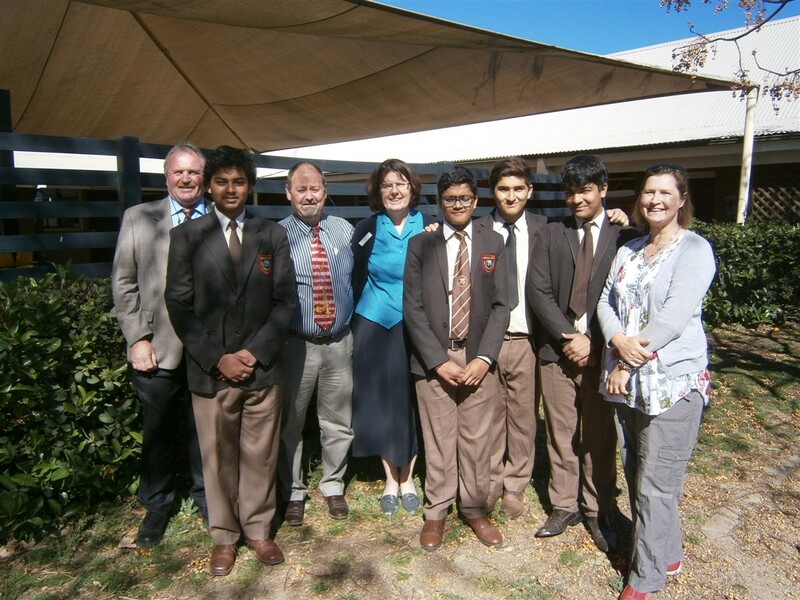 Over the last three years, we have developed an exchange with Welham Boys School in India. This exchange programme enables our students to attend Welham Boys School and in return we normally host four students from Welham for a term. In 2015 we have 3 boys attending the Indian school. As part of the boys visit they will also be able to attend the opening of a new classroom at”The Ram Trith Kanya Vidalya Primary School”. The School was visited by parents and students in 2013 and a pledge was made to donate resources to their new classroom once it was built. The school hopes to provide some computers for the classroom. For further information on any of the above activities, email Mr Adrian Berry, Director of Activities.